Alex Pendlebury is a mother, a qualified nutritionist, an accredited health coach and a very successful model. As a former gymnast, and someone who values optimal health and fitness she opened Progression Fitness Club with her husband in the heart of Melbourne’s sporting precinct in Olympic Park. As a model she has represented some of Australia’s biggest brands in lifestyle, fashion and beauty and loves to keep up to date with current trends and products. 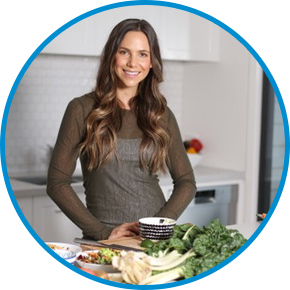 It is Alex’s true passion as an expert nutritionist that keeps her motivated to keep learning about improving health and it is this drive and thirst for knowledge that makes Alex the perfect fit and ambassador for the myDNA brand.